Absolutely exceptional (and very rare) TVR Tuscan 4.0 S Mk 3 Targa. Finished in Ice Blue with Light Blue and Portland Grey interior and Light Blue carpets. 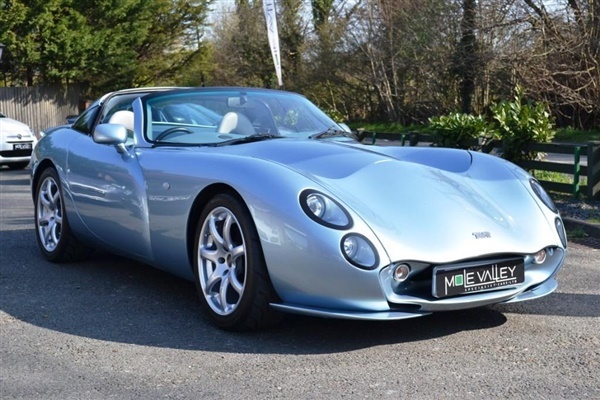 This car is truly superb and has a fantastic service history with 12 TVR Stamps in the book. Please ring for more information! !